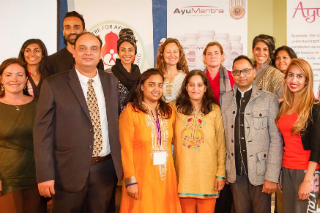 Whether you are a health practitioner looking to enhance your healing abilities or a local citizen of Toronto, Canada who wishes to empower yourself with ancient health knowledge, you’ll find the Centre for Ayurveda & Indian Systems of Healing (CAISH) offers the right education, care and support for you. 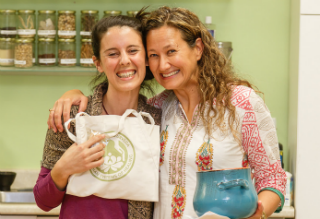 Our center focuses on four areas: Ayurvedic medicine Education, Ayurvedic medicine practice through Wellness clinics, making Ayurvedic products available through our Apothecary and Building Healthy Community through events and workshops. 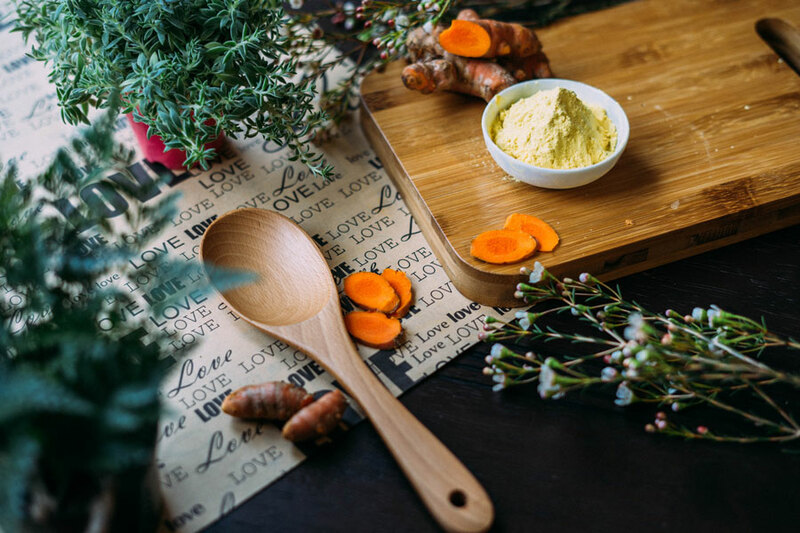 Our expert staff has provided authentic, integrative, and practical applications for Ayurvedic medicine for over 15 years. In fact, CAISH is the oldest institution of its kind in Canada. 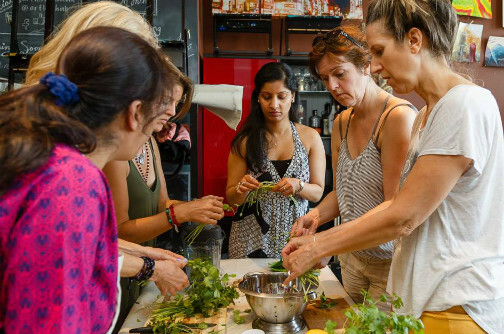 Gain a strong knowledge of Ayurvedic philosophy, theory and principles incorporating the mind, body, spirit and senses. 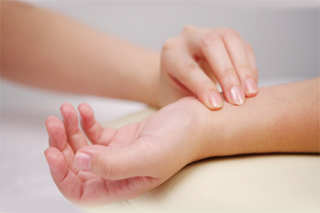 A Diploma program leading to a higher and deeper level of Ayurvedic health care for prevention of disease, health management and effective Ayurvedic treatments. A hands-on, inner empowerment course that will teach you the uniqueness and power of the human being and the subtle pathways to healing. 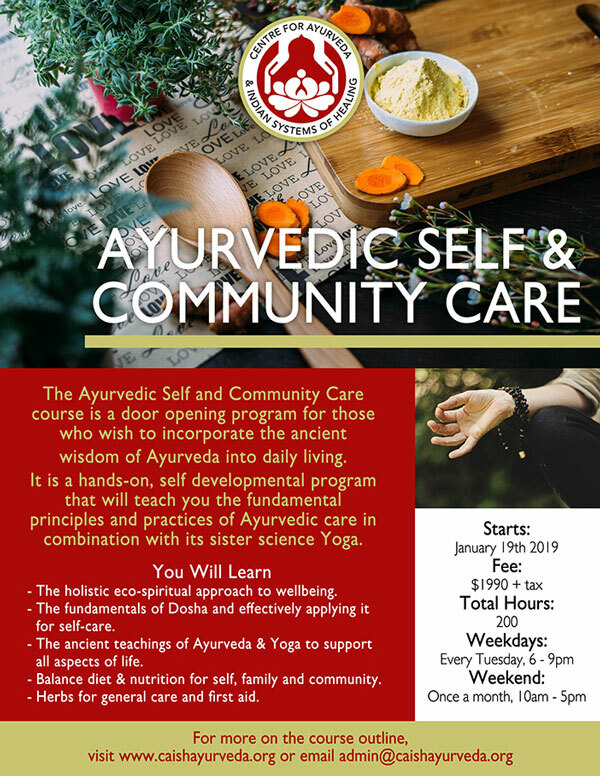 A hands-on, self developmental program that will teach you the fundamental principles and practices of Ayurvedic care in combination with its sister science Yoga. Deepen your learning & self-development with workshops facilitated by our esteemed faculty. Find an Ayurvedic practitioner near you. Choose from CAISH graduates based on your needs and preferences! Read about our founder, Ismat Nathani, and her life-long commitment to Ayurveda & Indian healing systems. Is Ayurvedic Study or Ayurvedic Medicine Right for Me? Hosting regular open house & free events welcomes everyone to explore Ayurveda & Indian Systems of Healing. Joining hands with like-minded organizations to encourage healthy living and to create a happy planet. Dedicated individuals contribute their time and skills towards the Karma of Wellbeing through various events. Regular Open house & free talk events hosted to welcome all to explore Ayurveda & Indian Systems of Healing. Joining hands with like-minded organizations to enhance healthy living and happy planet. Dedicated individuals that contribute their time and skills towards the Karma of Wellbeing. This interview with our founder, Ismat Nathani, gives an overview of Ayurveda as it applies to modern life. 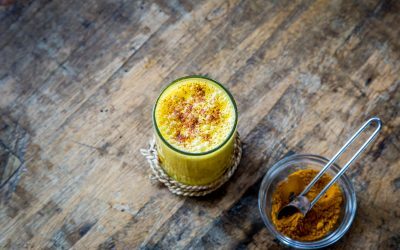 Although Ayurvedic Medicine is an ancient collection of wisdom, you can use this knowledge today. 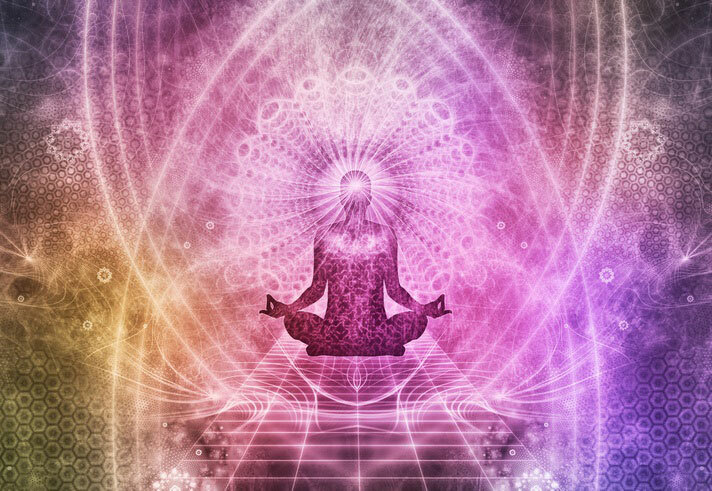 Listen and watch to gain insights into self-healing, the energy centers of the body, why your awareness is so important, and the one “medicine” nobody can do without. The health and wellness principles from 3,000 years of ancient Vedic sciences, including Ayurveda and Yoga, are time proven and deliver effective natural health care, spiritual awareness and education to our students and clients. 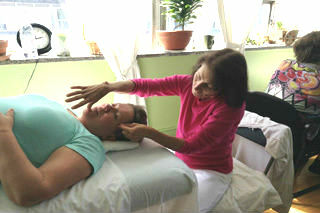 CAISH is proud to offer a home for Ayurvedic study and care in our facilities in Toronto, Canada. 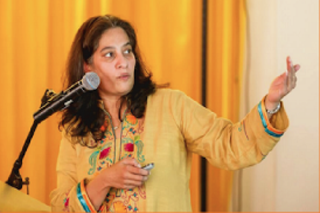 Students and wellness clients alike can expect the highest standards in Ayurvedic medicine education as well as advanced training and services in partnership with reputable institutes in India. All products sold in our apothecary are subject to quality, potency and ethical standards.